Sugary sand. Turqoise water. G-strings. Six packs. Cocktails. These are some of the images the word “Brazil” conjures up in my mind, so when I was given free reign from my partner Joel to plan the entire Brazil leg of our trip – I immediately began researching where I needed to go to take these images from Google into my memory bank. We had 20 days in the cosmopolitan country and I made sure at least 15 of those were beachside. 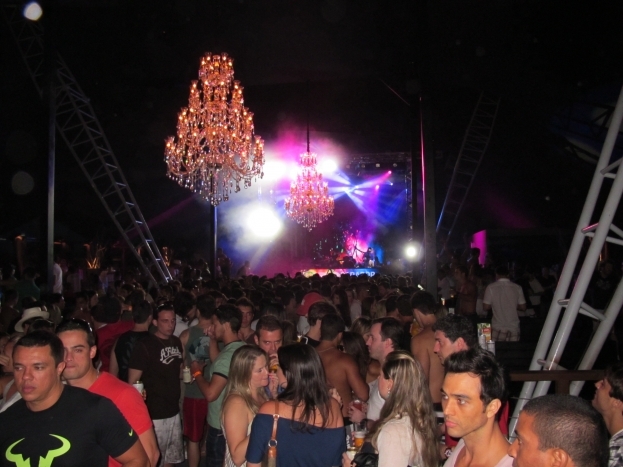 First stop was Ilha de Santa Catarina, a famous island 15 hours’ drive south of Rio De Janeiro and a favourite hangout for obscenely wealthy people. Word has it that Paris Hilton hired 10 luxury homes for a massive New Years’ Eve shindig a few years ago. 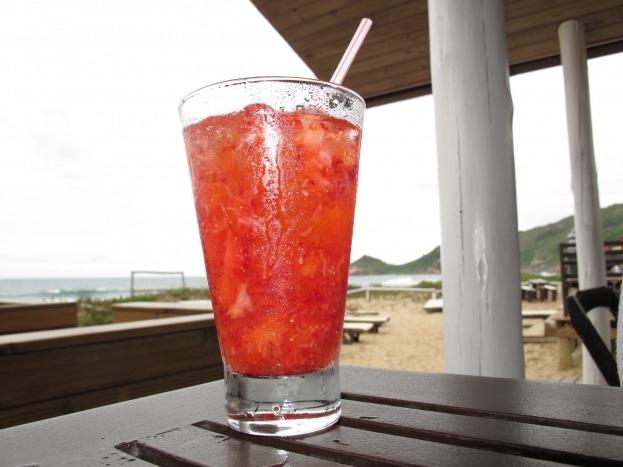 Luckily the huge island offers more than just waterfront mansions. 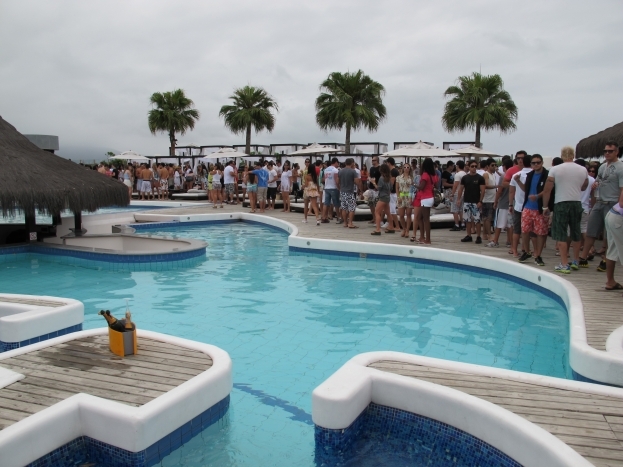 It’s got 100 beaches, a beautiful inland lake and mountains to explore, plus countless nightclubs and restaurants. We found ourselves a bed at the Backpackers Sunset, a fantastic hostel that boasts water views from every room. With a free capirinha cocktail each night and surf and beachfront bars a short stroll away, we happily settled in for four days. Unfortunately Mother Nature wasn’t so keen on the idea of us lazing on the beach for four days – the entire time we were there was overcast or raining. 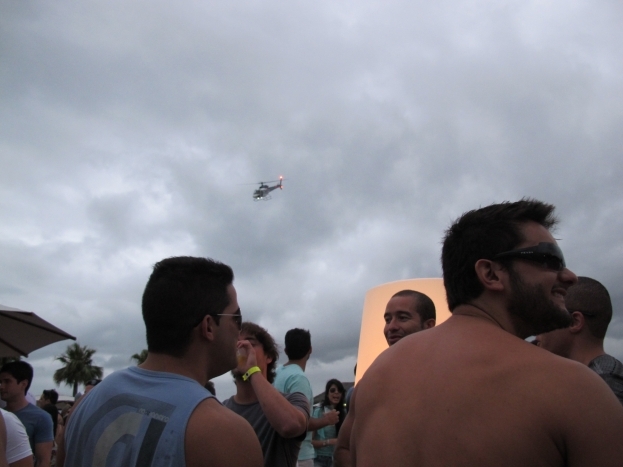 Luckily Brazilians know the perfect solution for crap weather – a massive daytime party. 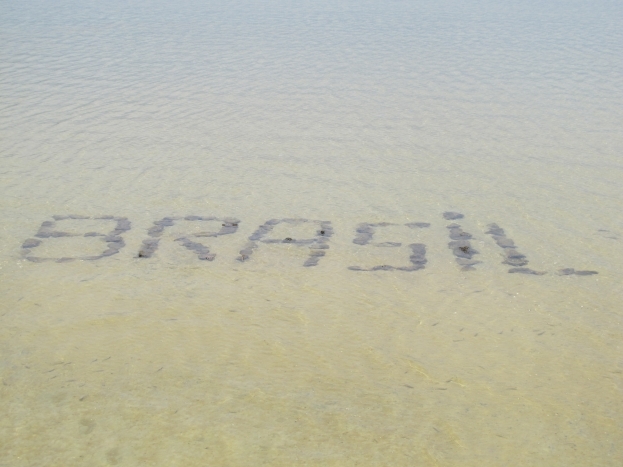 We joined a group of Brazillian holidaymakers from Sao Paulo to go to the infamous P12. To me, “pool party” suggests boardies for blokes and bathers with a light dress for girls. Not in Brazil. Here, immaculately women clad in six-inch heels flirted with ridiculously buff men who generally wandered around in minature shorties..
Dance music throbbed while the patrons displayed their wealth with bottles of Moet and Grey Goose vodka and flying their helicopters low over the crowd. The laidback crew we went with were at pains to explain these people are not representative of the whole country. As the sun set everyone moved under cover where high-profile Brazillian DJs had the dancefloor pumping, making the perfect setting for a lot of couples to vigorously make out. 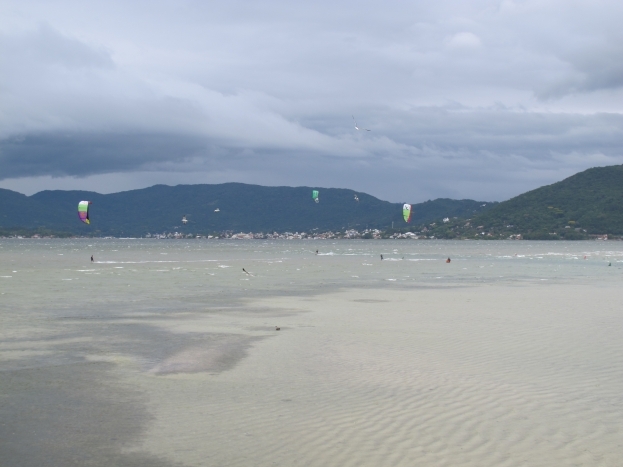 The rest our days were spent walking around the nearby Lagoa da Conceiacao, a beautiful inland lake popular with kiteboarders, eating fresh seafood and amazing caprinhas at Barra da Lagoa beach and hanging out with the rowdy guests at the hostel. While sunshine would have been nice, the poor weather didn’t stop us having a great time. 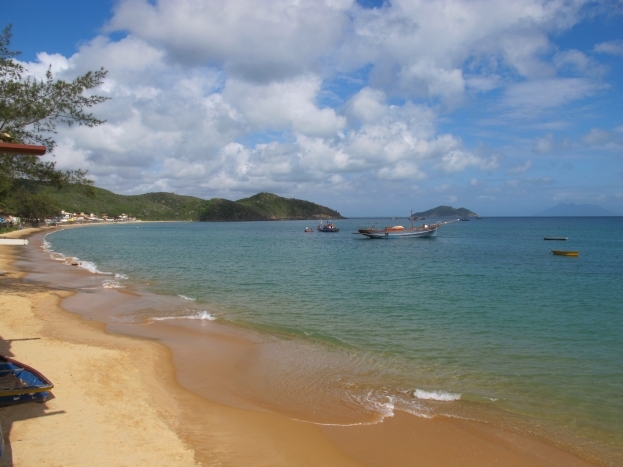 Next stop was Buzios – a resort town located 176km from Rio. This once-quaint fishing town was discovered by Brigitte Bardot in the ’60s and has never been the same since. 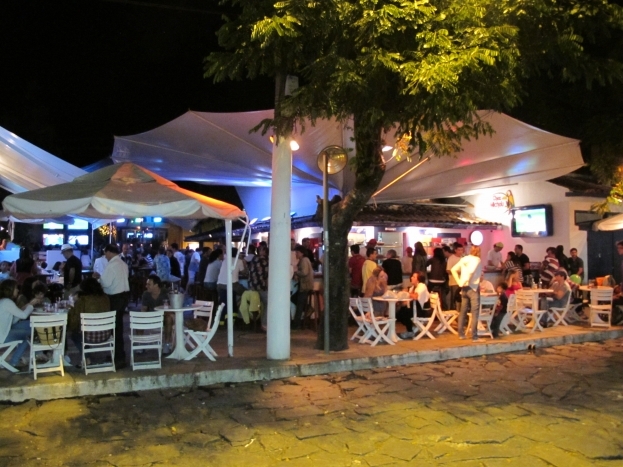 Boutiques line the main street Ruas Das Pedras and visitors spend their days lounging in sun chairs and walking or catching water taxis between the beaches that line the peninsula. 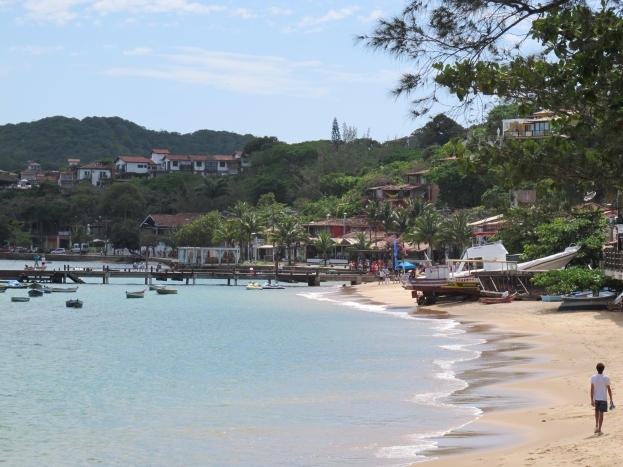 Like Ilha de Santa Catarina, Buzios hosts its fair share of wealthy guests, but luckily there’s still plenty of choice for those on a less flashy budget. 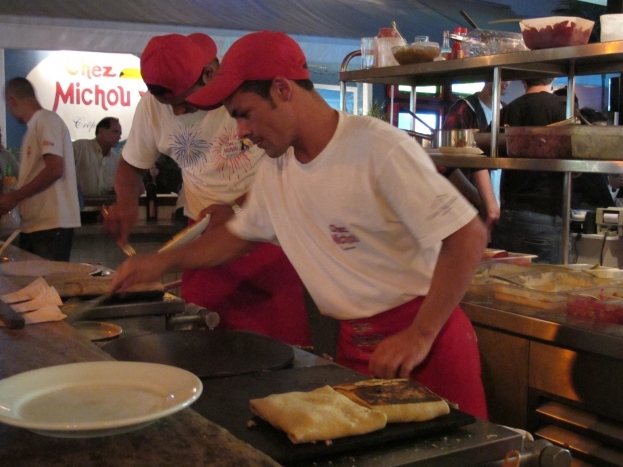 Our favourite discovery was Chez Michou creperie. This rocking place is more like a bar that serves the most delicious crepes I’ve ever tasted. Our favourites were lasagna and curry chicken. 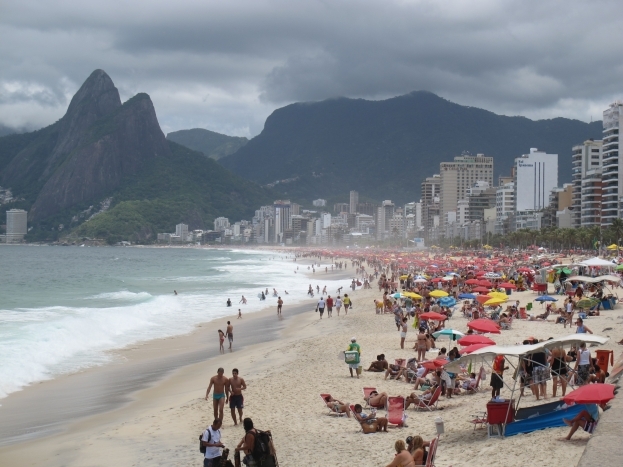 We capped off our Brazilian beach tour with a week in Rio De Janeiro, but there’s so much to say about the place that you’ll have to wait for my next blog.